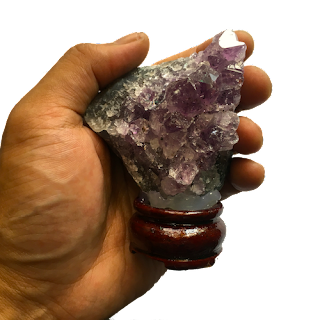 Buy affordable amethyst clusters from the best source of genuine crystals and gemstones in the Philippines. Amethyst is said to be the stone of artists and healers. It is believed that this is a wonderful talisman that protects against psychic attacks and ill-wishes. This stone is also referred to as “nature’s tranquilizer” due to its ability to calm and soothe the nerves. This stone is also helpful in preventing drunkenness and overindulgence. Since Amethyst is associated with St. Valentine, it is also considered as a "couple’s stone."